As part of my Bare Minerals "Beauty Rush" Haul series I have over on my channel, I always like to do a fun little giveaway. Today, I am giving away three separate prizes on three different social media sites. To enter my blog giveaway (this one), head down to the bottom of the post for entry rules and info! If you'd like to check out my other prizes, you can stop by my YouTube channel and Instagram to enter there as well! All of the info will be given in the Raffle Copter. Good luck to everyone and thank you for supporting my blog and channel. You rock! I would really like to win because I've never tried Bare Minerals, but have heard such good things about the brand. It's the perfect color for my skin tone! 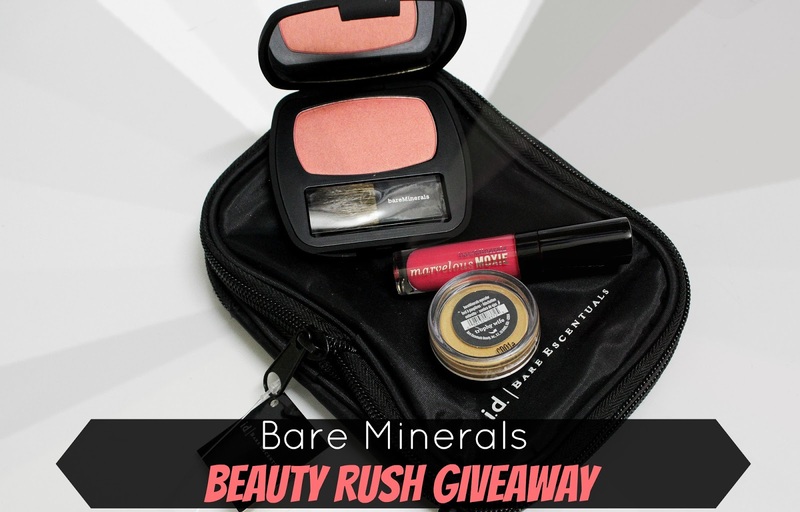 I'd love to win because bareMinerals is my go to for cosmetic products and that blush looks gorgeous! I would love to win because I love bare minerals! Would love to win these beauties! Bareminerals is my favorite!! Would love to try bare minerals again. Just love how glowy your skin is! What a great giveaway! Hey Shelbey! I'd love to win this! Natural high blush completes me! It is so pretty!! I found your vidoes on YouTube a few months ago and they inspired me to try the Bare Minerals powder foundation. I love it! I want to try more Bare Minerals products, and this would be a good starting point for me! I would love to add some more bare minerals products to my collection! Your videos and blog has inspired me to start using Bare Minerals and I love it!! Hi Shelby, I would love to win these products because I love bare minerals! My first make up kit was because of you, you make all of their products look so gorgeous. I would love to try a BareMinerals blush!! With all honesty I would love to win this, just because with sudden hardships going on in my life, it's become very hard to treat myself to anything and to score a bare minerals product would be absolutely Divine. Super cute set! I actually ordered from beauty rush for the first time at the end of September- STILL haven't received my order. Super bummer, fed ex smart post is holding it hostage. Hopefully it'll come in soon! Would really like to try some Bare Minerals products - I haven't tried any yet! I would love to win because I love Bareminerals and would like to try some of these things. I haven't tried the marvelous Moxie lip glosses and that blush looks gorgeous! I would love to try Bare Mineral products because you always rave about them. And I am a student on a budget so I only buy products that I know 110% I will use. I have been using BM since 2002 and am in LOVE. So winning would be amazing. I'd love to win these awesome goodies as a little autumn pick me up gift for myself! :) Thank you for hosting it! I would love to win because I am so new to BM and I always have a hard time deciding what to buy next! I would love to win these products because BM is such and awesome brand of makeup I absoltely love it. Its my fav makeup and its such a great quality. I have been using BM for a few years now an these would be great to add to my collection of BM products.I also love your vids because it helps me get new ideas for looks to do with my BM cosmetics. you now have me hooked on BM!!! I would love to win because I can finally wear makeup without any skin issues after growing up and having eczema for so long. I can now wear makeup on a regular basis!!!! 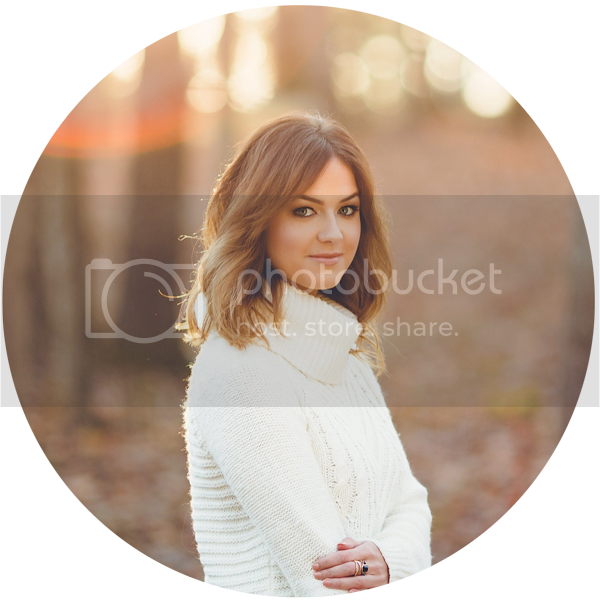 Thanks for the comp Shelbey! I would like to win those because we don't have that brand in Greece and I want so much to try it!Thanks! Your blog is really cool, I like to stop by every now and then ! Would love to win! I absolutely love Bare Mineral. I don't have very much makeup and this would be a great addition to my small collection. I would Love to win because I have always wanted to try Bare Minerals, and this would be a great way for me to start a collection. I'm just starting to get into wearing makeup more and these would be a great products for me to try. I'd love to win because Bare Minerals is my FAVORITE brand and I'd love to try out those products. I love Bare Minerals but I havent tried their blushes! I would love to win and try this beautiful shade!!! So happy the blush and eyeshadow has like gold in it, 'cause that would be perfect for a sparkly night! Lovely giveaway, Shelbey. I, of course, hope to win these great products! Just in time for the holidays, thanks Shelbey for another great giveaway! I love Bare Minerals and would love to try something new! I love trying new products and I haven't tried these yet! I love Bare Minerals and love make, but don't get to try a lot of new things. Would love to try these! I would really like to win because I've never tried Bare Minerals! I'm a relatively new follower of your on your blog and YouTube, but an really enjoying your posts. I am a huge Bare Minerals fan. I have been listing after the Natural High blush for quite a while, but I've had to cut back on my makeup expenditures since having my babies (totally worth it though!). I really look forward to your posts. It's so nice that you do this for your subscribers (out of your own pocket), on top of taking the time to create the videos that everyone asks for. I am crazy about bare minerals, just don't have the money to buy them all, if you know what I mean. I could use some high quality products for a change! Thanks Shelby for offering this giveaway. I have always been interested in Bare Minerals products, but they haven't been in my budget to purchase yet. I would love to be able to win these so that I can FINALLY try out the brand. Shelbey your sped up clips always crack me up!!! Love watching your videos and am a huge Bare Minerals fan too. I have to say of all the give away products the Marvelous Moxie lip glosses have to be my favorite!!!! Love them. I really enjoy bare minerals. It's the only foundation I can use daily that doesn't break me out. I would love to win. I don't have these particular products, so would love to add them to my BM collection. Thank you for the giveaway! I would love to get that blush! Love BM!